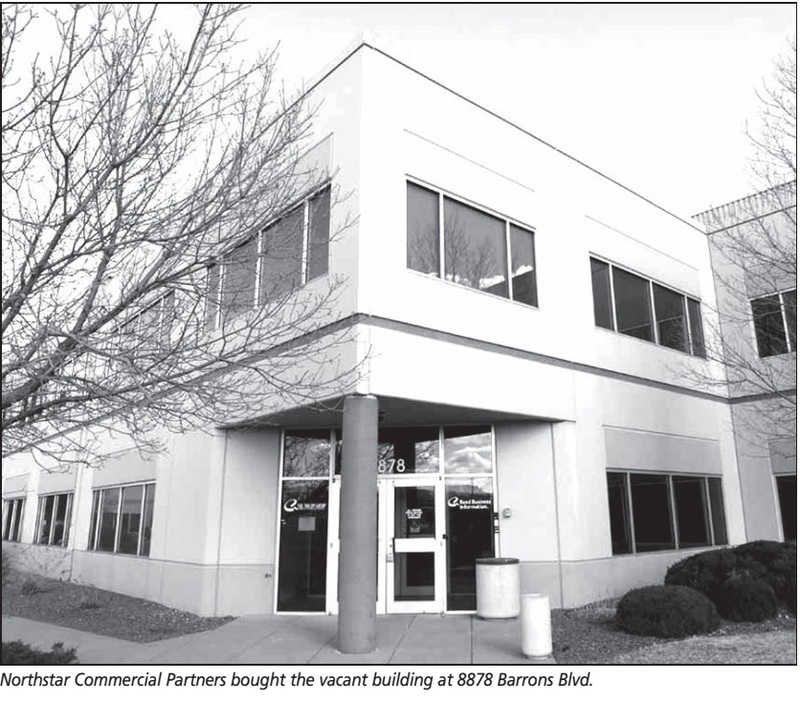 Northstar Commercial Partners has acquired one of only two large blocks of quality office space in the southwest Denver metro area. The company paid $3.98 million for the 60,032-square-foot building at 8878 Barrons Blvd. in Highlands Ranch Business Center, a familiar market for Northstar founder and President R. Brian Watson. Watson was involved in marketing Highlands Ranch Business Center several years ago and owns other properties in the area. “The buildings that we own in the near vicinity to this location are all 100 percent occupied,” he said. “We are excited to acquire the building on a vacant basis and find the right occupant for it.” Watson said some prospects, including out-of-state users, have been identified, but no lease has been signed. He is enthusiastic about the opportunity the property presents for the area’s employment picture. “This property can accommodate over 200 employees. That would be a big economic impact for that area,” he said. Constructed in 1994 for a publishing company, which recently vacated the property, the two-story building is located on 3.32 acres with 3.5 parking spaces per 1,000 sf. It features showers and lockers, 5,000 sf of raised-floor data center space, an uninterrupted power supply, and offers quick access to C-470 and Broadway. FirstBank, the lender on the property, was the seller. Cassidy Turley Colorado brokers R.C. Myles, Jeff Halsey and James Brady represented FirstBank. Cassidy Turley brokers Doug Wulf and Dan Miller are the leasing brokers. Northstar specializes in acquiring opportunistic commercial real estate assets in Colorado and nationally.